Cling film to slim down is based on the principal of water weight loss, most commonly practiced by models and athletes that participate in a sport with weight classes. The idea is to create a sauna-like environment next to your skin, which promotes sweating. If you sweat water without replacing it, you weigh less until you replenish your fluids. This can make a temporary difference in your body weight and girth. 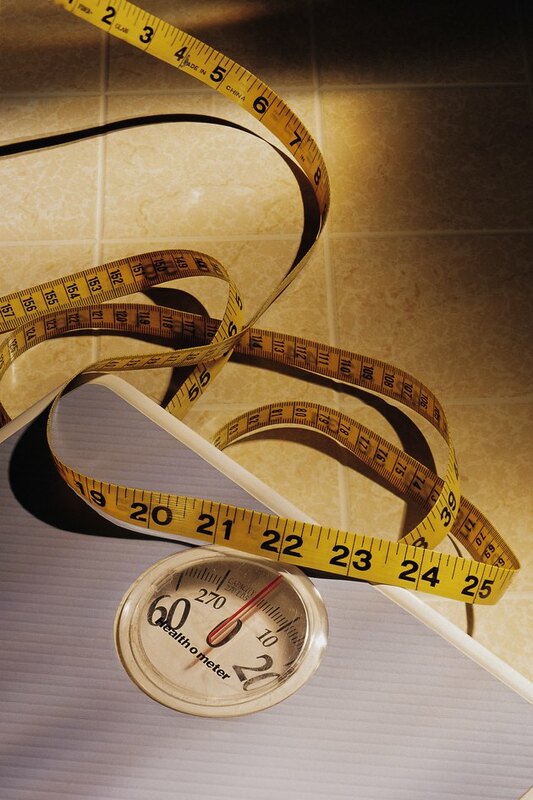 However, water weight loss is temporary and dangerous; it's not recommended for general slimming down. A better way to use cling wrap for your weight loss goals is: cut your dinner entree in half. Wrap it in cling wrap. Put it in the refrigerator. Eat it for lunch the next day. Portion control is a better approach to weight loss than tricks and fads like cling wrap. Set up for a cardiovascular workout by preparing any equipment necessary for your routine. Running and cycling are two workouts commonly used with this method. Wrap your abdomen in two or three layers of cling wrap, covering yourself from the line of your hips to the bottom of your ribcage. Make the wrap snug, but not tight. You should be able to pass the tip of your pinky finger between the wrap and your skin at any point. Though it's possible to wrap more of your body, more will restrict your motion for less benefit than an abdominal wrap will give. Put sweat clothes on over the wrap, even if it's hot. Warm clothes will increase how much you sweat. Do your workout. Stop every 15 minutes to gauge how you feel. Discontinue immediately if you begin to feel dizzy, lightheaded or anxious. These are the beginning signs of dangerous levels of dehydration -- a potentially fatal side effect of this kind of workout. Strip down and towel off after your workout. You may notice an immediate difference on the scales.